For me, developing a good bio is essential to help position your quilting business and your price points. You can determine a lot about a business from the owner's bio if it is written correctly. And what you want to do most of all is tell a story. Nothing helps bond your customers and prospects to you like a story. If you can talk about a treasured memory from when you learned to quilt (spending some special time with your grandmother for example), some “secret” technique you learned or stumbled upon, or about how many quilting awards you have won, then you tell alot about yourself, and by extension, your business. I'll be talking more about “Telling the Story” in later posts, so keep watching this space. And in the mean time, check out Marry Emma's article… it will be well worth your time. 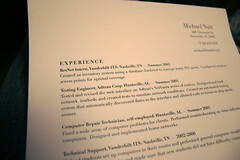 Quilting Resume is a great idea. 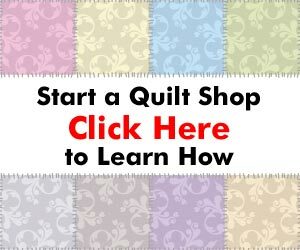 That way, whether you are showing your quilts or have vendor space to sell your quilts, people can take one for themselves and one or more to pass along to friends & family, etc.